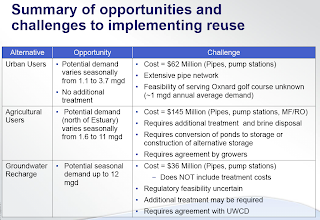 Next steps for Ventura Wastewater? The City of Ventura has been wrestling with it's wastewater discharge for the past two decades. Increased regulatory scrutiny and pressure from environmental groups resulted in the "Santa Clara River Estuary Special Studies" process, which began in 2009. These studies have been focused on determining whether or not the volume and quality of wastewater is beneficial to the Santa Clara River Estuary. Working together with Ventura Water’s customers to arrive at the most responsible and sustainable solution for the health of the Estuary and Ventura’s water supply by 2025. The "Santa Clara River Estuary Special Studies" process has included three separate studies and many stakeholder meetings. One of the studies investigated reuse options including urban and agricultural, as well as groundwater recharge. At a recent workshop, Ventura Water rolled out a draft 'Water Efficiency" plan, which includes an overview of a spectrum of ways to enhance efficient use of water. 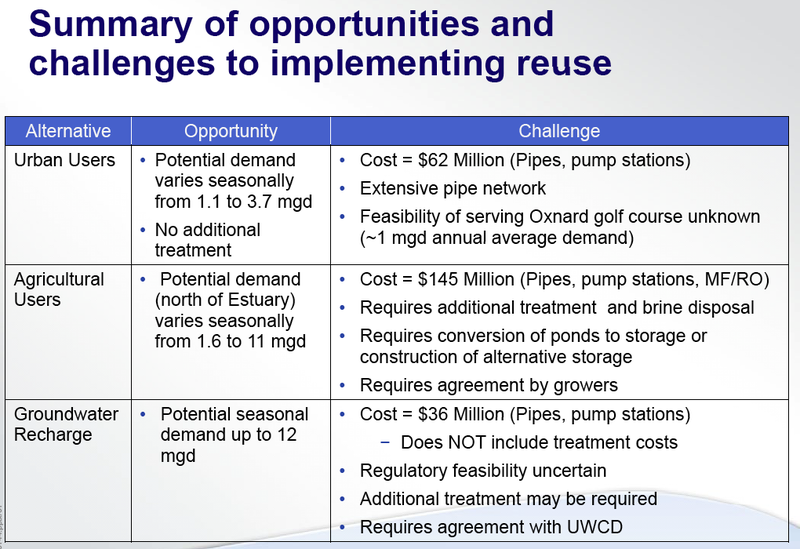 Included in the draft plan are the recycling alternatives above, as well as potential for disposing of wastewater to the new Oxnard Advance Water Purification Facility (AWPF) and reuse of Ojai Sanitary discharge to offset water currently used in the local oilfields. 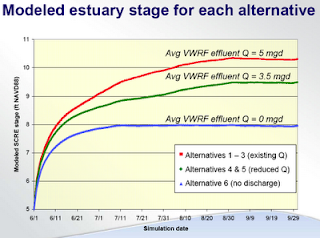 Up until now, the emphasis of the Santa Clara Estuary Enhancement Studies has been on demonstrating the need for estuary discharge to maintain beneficial habitat. 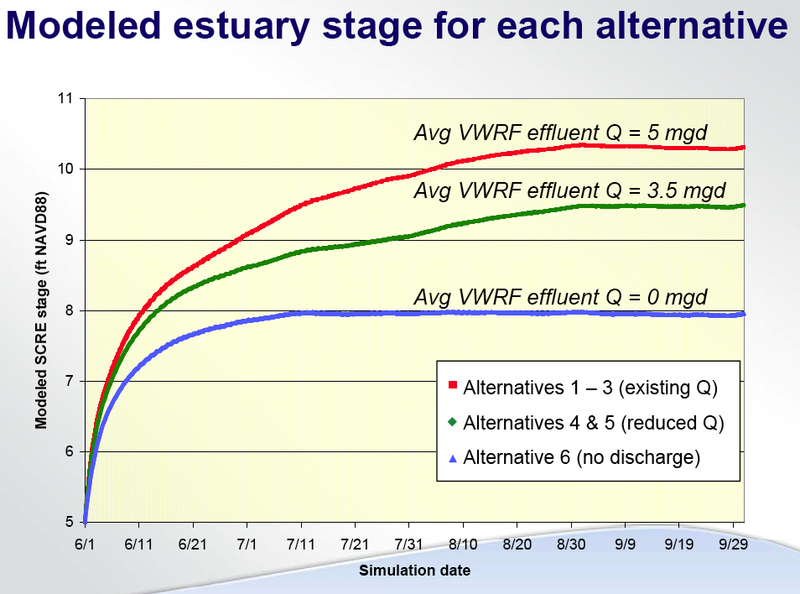 This is a complex question, but many stakeholders commented that an analysis relating the water level in the estuary to habitat quantity was too simplistic and therefore inconclusive. Now the legal settlement changes the conversation from "how much should continue to be discharged" to "how much can be reclaimed." This presents an opportunity for the City to pursue the most effective multi-benefit solution. We have advocated that the City of Ventura should undertake an 'Integrated Water Management Plan' (not to be confused with IRWMP.) With such a plan, an ecosystem-based management approach should be taken to ensure the rivers and estuaries are enhanced through more efficient use/reuse of limited water supplies to enhance the overall water budget.